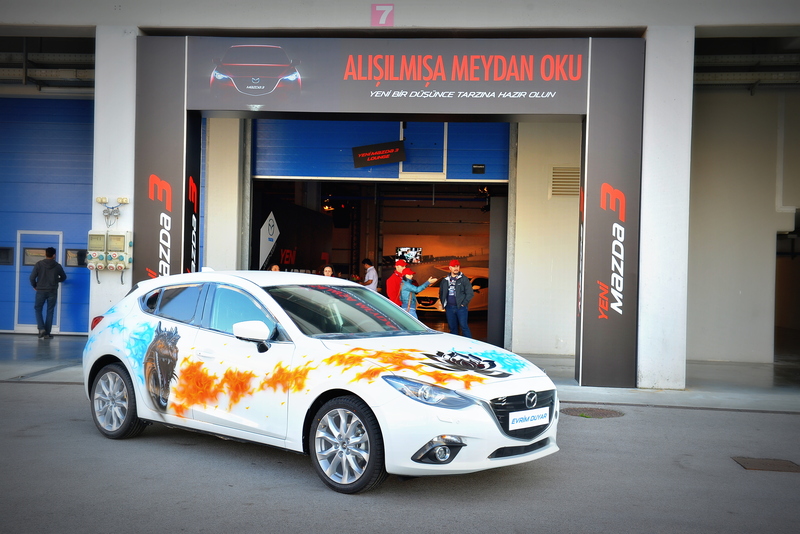 The Mazda3 Show took place at Istanbul Park in Turkey in October, where Turkish artist, Evrim Duyar, was on hand to do an individual airbrushing demomstation on a Mazda3 car. 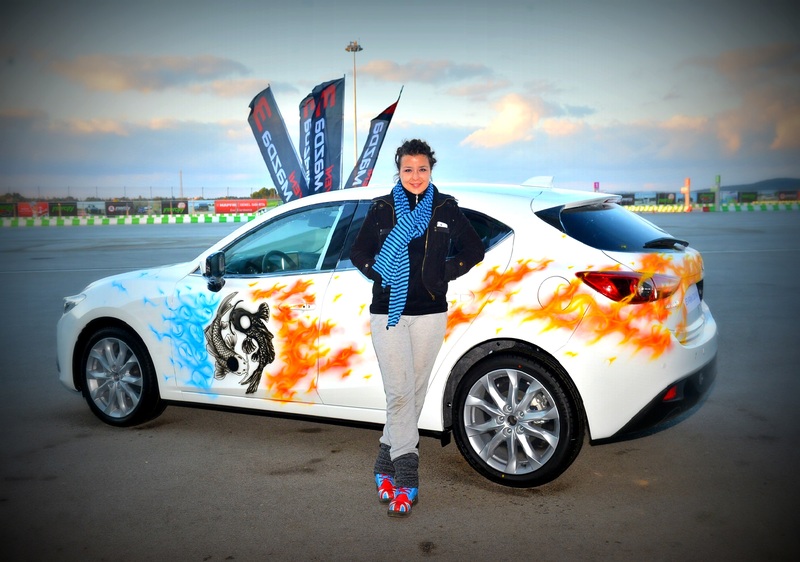 “GP-850 served me very well on painting the large areas and applying the effects of background designs. With it, I could be able to create a realistic background in a pretty much faster way. … and my favorite product Max-3. 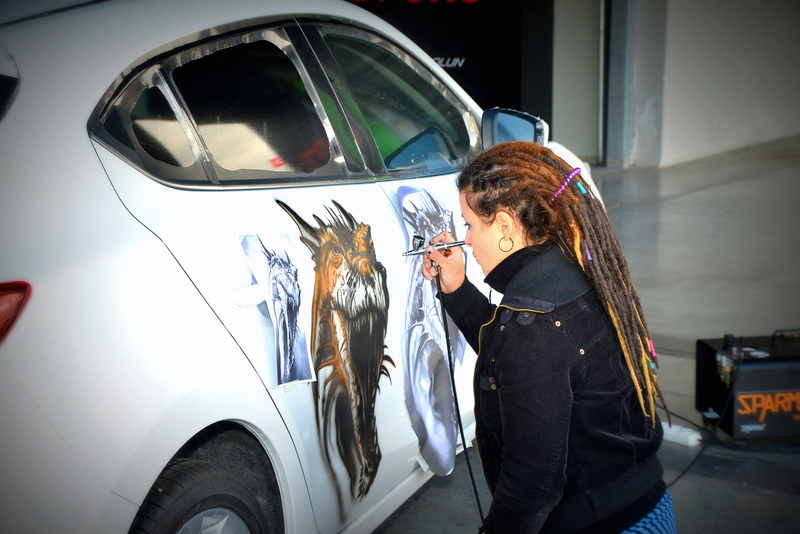 It is a quite sensitive airbrush. With its 0,3 mm nozzle size, I could both apply the average tones and reach the fine precision, which was very important for me. 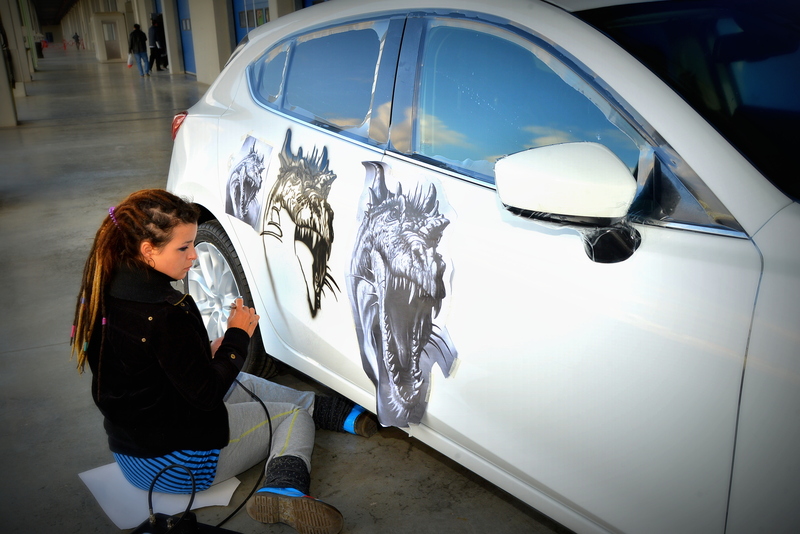 I usually have particle problems due to the automotive paints I use. 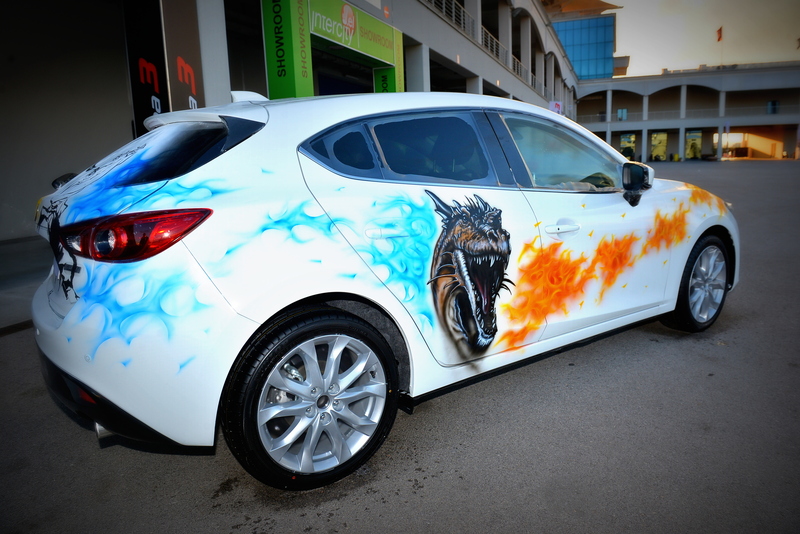 See Ms. Evrim Duyar’s delicate and gorgeous work on Mazda3 car! Also, a thank you to her for the positive feedback.